Since signing to Dreamville and dropping his breakthrough project ‘The Never Story’ just last year, J.I.D’s come-up in the rap game has been no small feat. 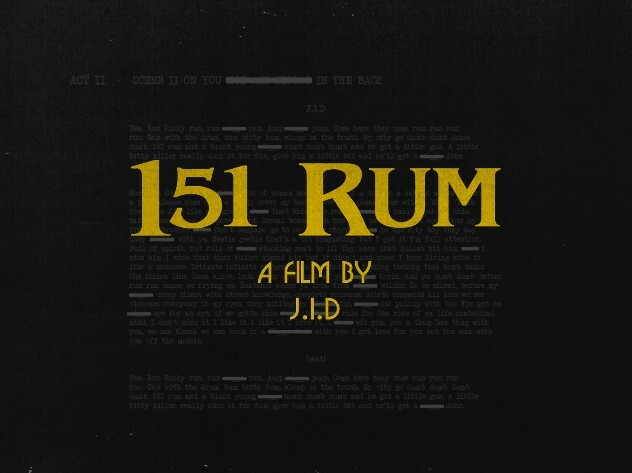 Stakes are high for the for the 27-year-old rapper as he preps to drop his next mixtape, ‘DiCaprio 2’, and J.I.D gave listeners a peek of what to expect with a new single titled “151 Rum” today. Over a menacing beat held down by an eerie vocal sample that gives the whole track an ominous vibe, J.I.D fills every bar with masterful wordplay and surgical precision in his rhyme schemes. Whether he’s repping his East Atlanta home or asserting his legitimacy as a killer emcee, he comes off as laser-focused and in his element. Mind moving at a million miles per hour, J.I.D doesn’t make it easy for a listener to keep up with his thought process, but he does give you something to turn up to regardless. As he was reportedly set to open for Mac Miller, who also worked on the production for this project, ‘DiCaprio 2’ is shaping up to be a special release from the talented lyricist, and one you won’t want to miss out on when it drops.